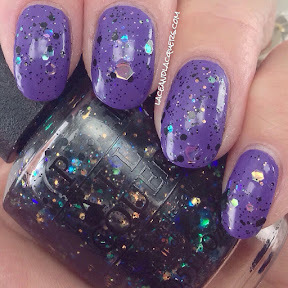 Comet in the Sky is filled with "black multi sized hex mixed with multi colored, multi sized iridescent hex glitter in clear base". 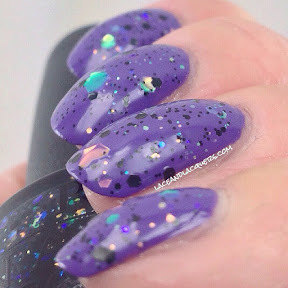 How fun is that top coat!? 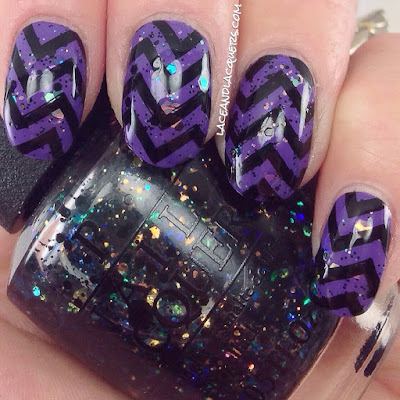 Kind of a twist on your typical B&W topper by adding the iridescent glitter. So versatile! 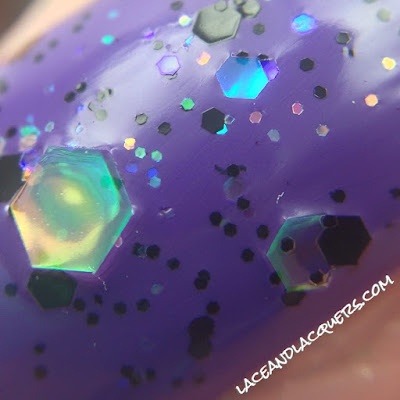 I did 2 coats of Comet in the Sky over Zoya Serenity. It didn't give me any issues and was easy to work with. The amount of glitter per coat was great and the larger glitters didn't need any fishing. Dry time didn't present any problems. Plate VL010 with a black creme polish. That glitter is so awesome!! !